Forking over the cash for a meal plan, no pun intended, is no small task. Students pay a significant amount of money each semester for food services. It is reasonable for us to expect that food is readily available for a large portion of the day. That is why I find it a problem that Washburn Hall on the Brattle campus is not open for dinner on the weekends. 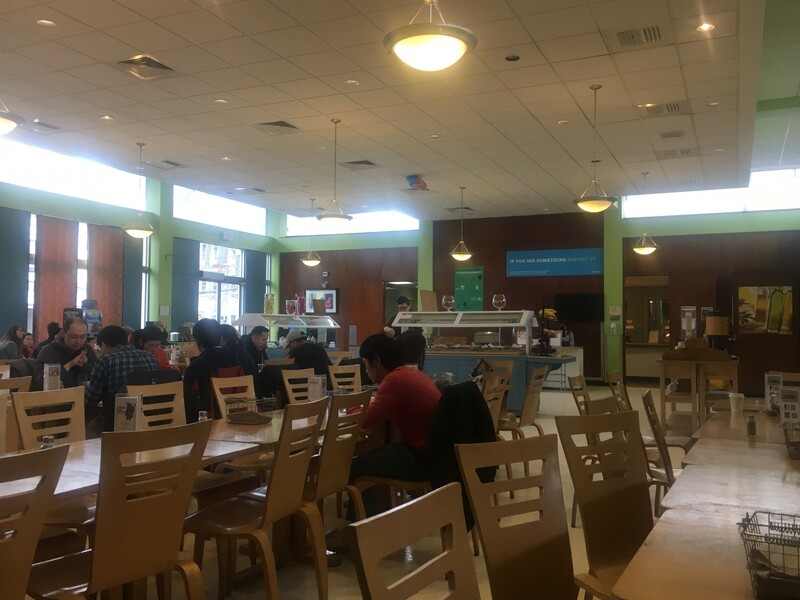 On Friday, Saturday, and Sunday nights, students who reside on Brattle no longer have the luxury of a short walk to the dining hall, which is equipped with a handicap ramp to make it accessible to everyone. Students can either walk over to Doble, or try to catch a ride on the shuttle (which doesn’t run as frequently on the weekends). Without making the trek to Doble, students are then on their own, and they have to figure out where they are going to get dinner. This raises some questions for me. What if someone is in a wheelchair, or maybe they got a sports injury and have to use crutches? Are they expected to travel all the way to Doble just for dinner? Sure, they could take the shuttle; but they have to plan the trip ahead of time, because the shuttle doesn’t constantly run on Saturday and Sunday like it does during the week. Or what if someone has the flu, and is really sick? The convenience of a less than five-minute walk to get food is important in this kind of situation. Without that, a student who is ill would now have to spend more time figuring out their dinner. They could take the shuttle, which would involve a lot of waiting around. They could walk, but they are already sick and should not subject themselves to bad weather. And speaking of weather, what happens if there is a lot of snow? On a day when it’s snowing heavily and the temperatures are freezing, why should students have to walk to Doble just to eat dinner? In this case the shuttles wouldn’t really help because we’re talking about all the students who live on Brattle and want to eat dinner. Some can take the shuttle, but there isn’t room for every one of them. I also want to know why Doble has both Charlie’s and White Hall open on the weekends for dinner. 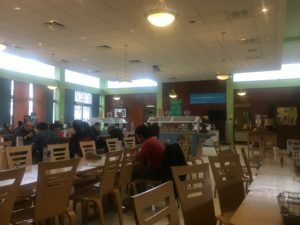 I understand that Doble is a central location for all of Lesley’s campuses, but Doble has two places open for students to eat dinner, and Brattle has none? That makes no sense. We all agree that the policy of no dinner for Brattle on the weekends is frustrating. Even if students who live on Brattle go home for the weekend, there are still many students who stay and eat dinner on campus. Maybe fewer students will eat in Washburn Hall for dinner on the weekend, but they still deserve to have an easier time than they have now. I’m sure some people will read this and not really care whether or not Brattle stays open on the weekends for dinner. I would respond to that by saying, if you live on Brattle for a semester, especially during the winter, you will change your mind. I hope the administration can come up with a better arrangement than what we currently have. It will make the students on Brattle feel a lot happier.